The physical and mental benefits are enormous. Here are just a few….. It's not a matter of one being better than another. The fundamental Pilates workout can be performed on a Pilates mat alone, and great results can be achieved through beginner, intermediate and advanced moves. However, the various equipment pieces such as the Reformer, Cadillac and Chair incorporate light spring resistance that works like concentric and eccentric muscle contractions to safely sculpt, tone and stretch the muscles. The Arc Barrels and Ladder provide support that allows you to safely manipulate your body to stretch and engage muscles otherwise challenging to isolate. Smaller Pilates equipment pieces such resistance bands, Pilates circles and exercise balls also provide an element of variety and focus to a Pilates regimen. Pilates exercises done on the floor (mat work) can be very similar to Yoga. Both are mind & body programs with a specific breathing technique. However Pilates uses its breathing technique for a different reason to Yoga. Some mat exercises may simulate Yoga movements however the principle is different. Very few Yoga styles incorporate the deep core work used in the Pilates method. When Pilates exercises are done on the reformer bed with resistance it becomes a unique workout and very different to yoga. The goal with pilates is to achieve functional fitness. I have a bad back and or I am injured… will I be able to do pilates? You should always consult your physician before starting any fitness routine and if you are uncertain about a muscular skeletal issue or injury, an assessment with our osteopath or health care professional will help clarify whether or not you are ready to start rehab/studio pilates or whether you require further treatment. How long will I have to do pilates before I see results? If only doing Pilates, 2-3 classes per week should see some results within 10-12 classes. If you participate in other physical activities 1-2 classes per week is still going to give you a result. Why yoga and pilates during pregnancy? Yoga and Pilates are the best ways to exercise during pregnancy. They’re low impact and focus on deep stability and postural muscles to help with your changing body. Keeping fit and strong during pregnancy helps you keep a healthy body and nourishes your growing baby. It helps to maintain strength for your labour and bounce back quicker postnatally. It also strengthens your core and abdominals, tones the arms, legs and buttocks. As always, please check with your physician before any exercise. If you have sustained a serious injury please consult a health care professional before commencing classes. 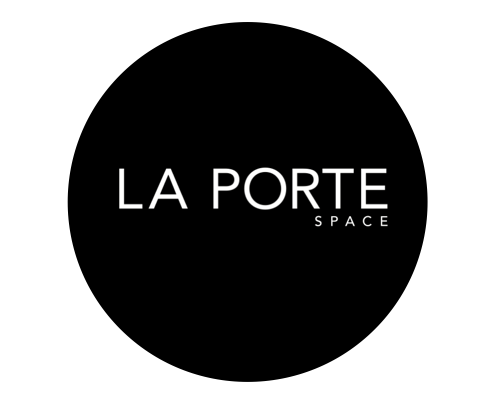 La Porte also recommends a Private Session with one of our Professional Instructors to assess your abilities and address your needs. Alternatively, a reference from your physiotherapist or healthcare professional will provide instructors with an understanding of your injury and allow you access to group classes. Yes. We require upfront payment and if there is a cancellation within 6 hours, you will forfeit the class.